You may think you know about asbestos. Did you know that dozens of Americans die from asbestos-related disease each day – even in 2013? Did you know that, despite almost a century of knowledge of the dangers of asbestos, that it has never been banned in the United States? 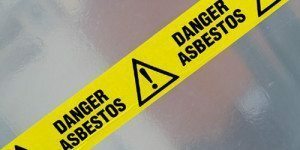 It is important to know that asbestos is still present in our environment and that safety requires constant vigilance. General Benjamin also noted that there is link between more frequent exposure and greater chances of developing asbestos related disease. It is important to get the facts when it comes to asbestos and asbestos exposure. Thornton Law Firm has 40 years of experience representing victims of asbestos disease – including those sick with mesothelioma, lung cancer, and asbestosis. If you have questions about asbestos, asbestos exposure, or asbestos disease, please call Thornton Law Firm at 888-632-0108 and a Thornton Law Firm lawyer will answer your questions.